This is part 3 of the Kylie Jenner Trends Matter Collection Velvety Demi Mattes. 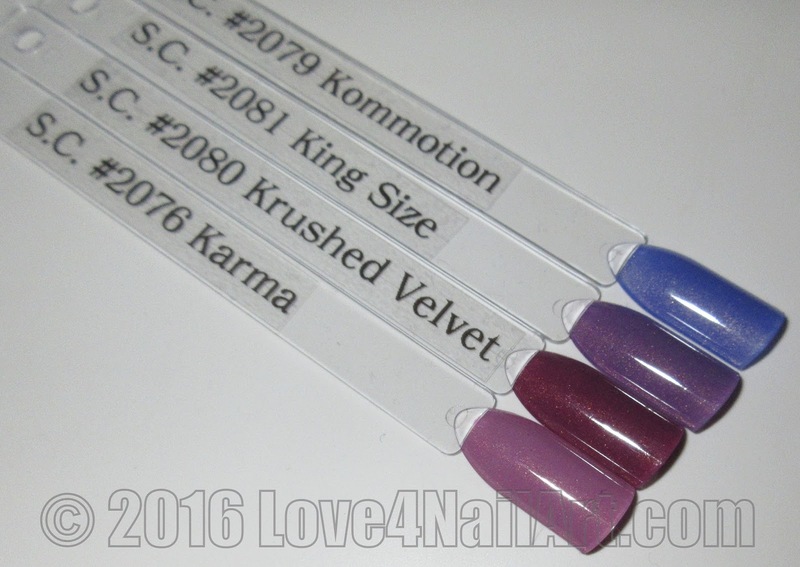 In this post I will review the last 4 shades of the collection. SinfulColors website describes this color as "this rose gold pearl shade is meant for making smooth mauves". This is one of my favorite colors from the collection (as I am partial to pinks). This polish is a beautiful dusty rose pink with a hint of purple. It is cool toned and appears pearl-like. SinfulColors website describes this color as "this red and gold pearl shade is exquisitely rich". To me this polish has me at a loss for words. How do I describe this gorgeous color? It is almost a burgundy whine color with pink tones to it. Or a mauve color with red in it? I don't know... its is just beautiful. SinfulColors website describe this color as "you'll own the throne with this royal purple and gold pearl shade". This is a cool toned mid toned violet polish. With faint shimmer throughout. SinfulColors website describes this color as "you'll definitely make a scene in this dark blue pearl shade". This is another polish that has very faint shimmer throughout. When matte it has a frosted pearl look to it. It is a cool toned and beautiful rich medium blue. I hope that you enjoy this polish collection reviews!